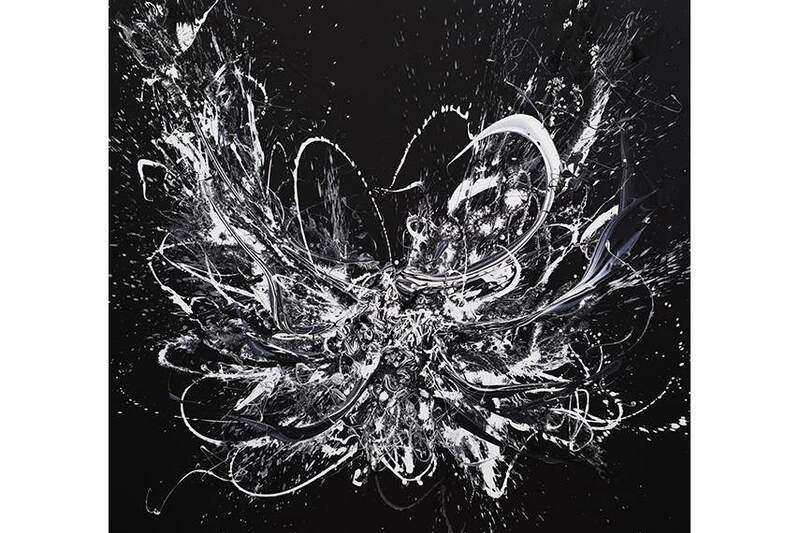 The abstract works of Katrin Fridriks are the result of an outstanding painting technique, which unites minimal and expressive gestures to create an explosive effect. 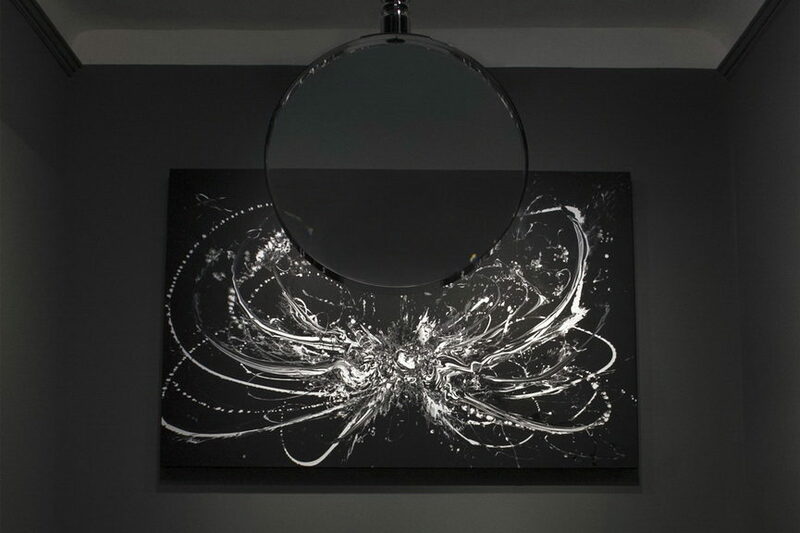 Due to their unique creation process, they can be seen and examined through different perspectives which bring an innovative dimension to abstract painting. This unique zoom effect references the aesthetics of macro photography, so her works are often compared to the peculiar landscapes of her native Iceland. Usually presented through installations or visual compositions, Fridriks’ paintings are addressing important questions regarding the future of human life and the world in a highly conceptual way. First showed at the Stendhal Syndrome solo show at Circle Culture Gallery in Berlin last year, Perception of the Stendhal Syndrome is a piece focused around the perspective effect of her works. 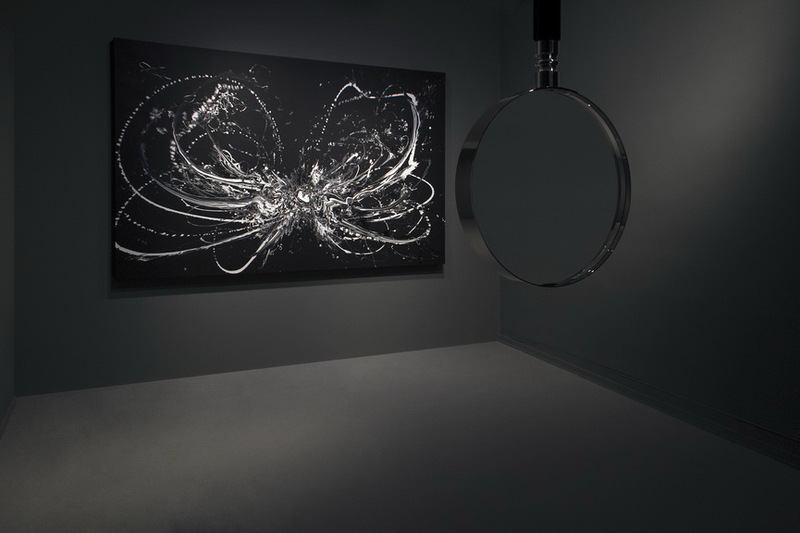 After 8 years in production, this unique installation consisting of a large custom made magnifying glass and a big scale painting, was finally presented as a point of culmination in the work of Katrin Fridriks. Named after an unusual psychological disorder caused by exposure to particularly beautiful or large amounts of art, this installation provides a chance to explore the artwork on a whole new level. Through the magnifying glass, the observer can zoom into the work to an almost infinite scale and enjoy the details and sections that are almost impossible to notice with the naked eye. Read more about the Berlin show in Katrin Fridriks’ Stendhal Syndrome. In the context of La Biennale di Venezia 2015, the European Cultural Centre presents the exhibition, Personal Structures – Crossing Borders, in two of its prestigious venues in Venice, Palazzo Mora and Palazzo Bembo. 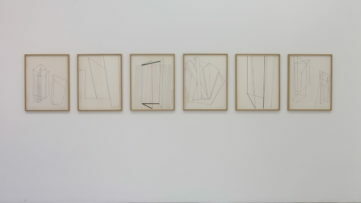 With the main topics of the show being Time – Space and Existence, highlighted from unusual and very personal points of view from the participating artists, Fridriks’ works are a perfect choice for this event. Showing alongside 100 participating artists originating from over 50 countries, she recently installed Perception of the Stendhal Syndrome in Palazzo Bembo, which will stay on view from May 9th until November 22nd, 2015. 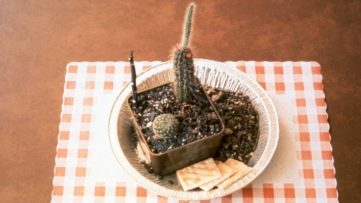 The list of other participating artists include Carl Andre (USA), Daniel Buren (FRA), Joseph Kosuth (USA), Francois Morellet (FRA), Hermann Nitsch (AUT), Yoko Ono (JAP), Roman Opalka (FRA) and Lawrence Weiner (USA). 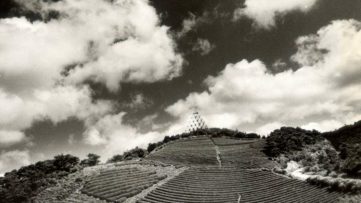 This year will mark the release of the first extensive monograph of Fridriks’ work through art publishing house Skira. Being released as part of their Artist Collection, this 250 page hardcover edition will provide a unique journey into the artist’s universe. The book gives an opportunity to trace her progress and the evolution of her works over the last 15 years, the main focus being on her latest and most innovative paintings and shows. The book will be available in Europe from June 2015 and later in the year for the rest of the world. Along with the book release, the Iceland-born artist will be releasing her 2nd fine art silk screen edition. Produced by Lazarides Editions, the print studio of her London gallery, Royal Gene&Ethics will be an 8 colour silkscreen print released in a limited edition of only 70 pieces to mark her participation at La Biennale di Venezia 2015. 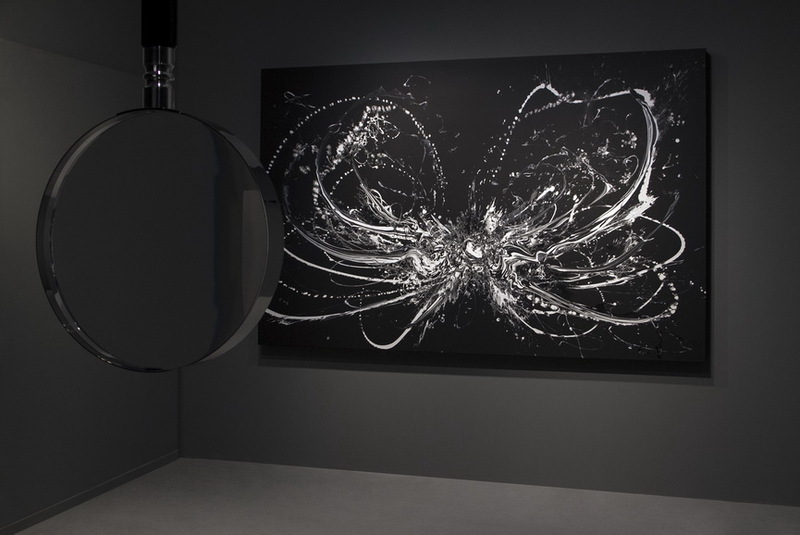 Perception of the Stendhal Syndrome by Katrin Fridriks is on show at Palazzo Bembo, Venice, between 9th May 2015 and 22nd November, 2015.For all the latest exhibition news sign up to My Widewalls today.Images courtesy of Katrin Fridriks.